Early this morning Harriett took off to do a little fishing herself. Make no mistake, Ozzie is a fisher-bird extraordinaire and has supplied his family with more than enough fish at any and all times. 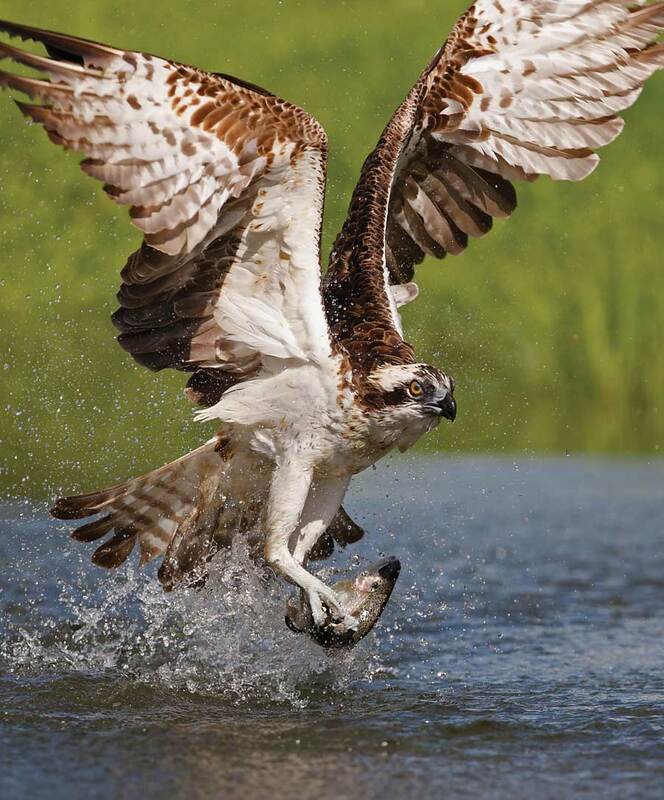 Harriett was not hungry, but she was in the mood for speckled trout, so she set off to try her luck. Back at the nest, Ozzie pulled Tweedy aside. Tweedy approached Ozzie with self-confidence and a smile. “The world out there is not easy. Nature can be harsh and cruel. I just want you to know that your Mom and I are trying our best to prepare you for what is about to come”. Tweedy, looked annoyingly at her father, just as human teenage females do in such situations. “What do you think Mom and I have been talking about for the past three weeks”, Tweedy thought, trying not to show her derisive attitude. Ozzie recognized Tweedy’s posture. What parent would not? “I’m just telling you that in the next three weeks you must be able to fly, fish, learn to protect yourself and be prepared to migrate 2000 plus miles south”. Tweedy was polite to her father, despite her perceived lack of insight and judgment into matters of life that poor old Dad did not possess. Ozzie returned to his nest maintenance with nothing else to say; except a prayer for his daughter.